Obesity is a nutritional disorder characterized by excess accumulation of fat in the body. Numerous factors can lead to obesity including continuous indulgence in fried and junk foods along with a sedentary lifestyle. This can lead to excess accumulation of fat getting blocked in various body channels. Obesity can lead to numerous medical conditions such as hypertension, diabetes, irregular digestion and other metabolic disorders. A person is considered as obese when the BMI (Body Mass Index) lies above 30. 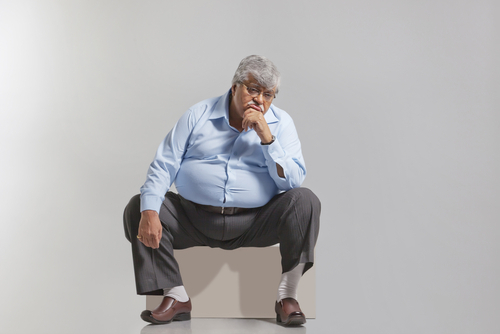 The obesity condition is characterized by increased body fat, excess sweating, fatigue and breathlessness on exertion. Other factors that can lead to the development of obesity include genetics, hormonal imbalance, behavioral issues and environmental factors. Obesity or over weight can be managed through ayurveda without affecting the physical and emotional stability of the patient. At Ayur Bethaniya Ayurveda Hospital, we offer safe and effective obesity management through a combination of organic diet, ayurvedic internal medications, panchakarma treatments and massages. We follow a unique combination of Ayurvedic treatment modalities to achieve best possible results to lose all those extra pounds from the body. We offer customized treatment plan depending on the patient health and body condition to produce guaranteed expected result of loss of 1-2 kgs per week. Loss of body fat depends on the patient’s body condition and hormonal status also..
At Ayur Bethaniya Ayurveda Hospital, the treatment plan for obesity includes ayurvedic Udwarthanam that involves deep tissue dry massages using herbal powder and packs followed by herbal steam bath to marshal the accumulated fat resulting in weight loss. Along with herbal massages internal herbal medications are to be consumed to pacify the aggravated vata and to rejuvenate the body from tissue levels. Doctor also prescribes custom tailored diet plan that involves numerous herbal combination and herbs that aids in fat loss from the body. Refreshes and rejuvenates the body and mind. Aggravated vata and hormonal imbalance in the body can lead to accumulation of toxins in the body causing blocks in various micro channels. The pacification of Kapha is an important factor in the treatment for obesity and is accomplished through herbal medications and massages along with a proper diet plan. Along with diet restriction, medications and therapy, Yoga is also instructed that completely rejuvenates the body and mind. At Ayur Bethaniya Ayurveda Hospital, we provide safe and effective Ayurvedic treatment plans that are customized as per individual patient condition to treat and recover from Obesity condition.